Mary A. 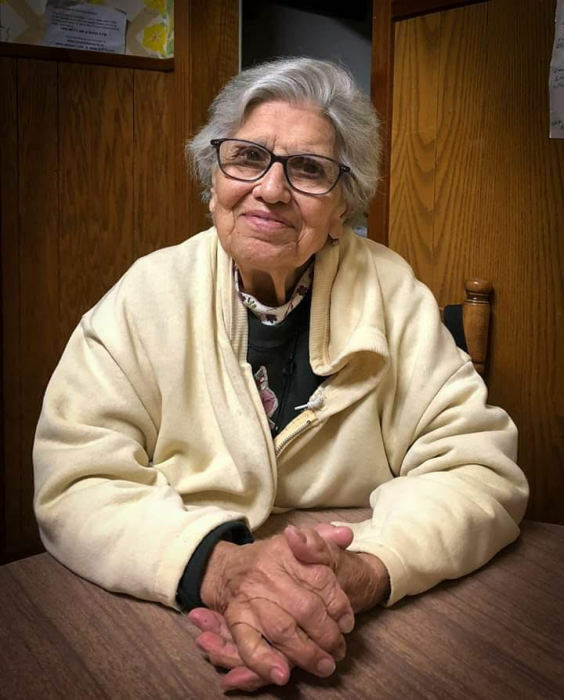 "Angie" Andreadis, 92 of Perth Amboy, passed away peacefully at her residents in Perth Amboy. She is preceded in death by her cherished husband John H. Andreadis who passed away in 2013; her loving parents Ehrasizolous and Penelope ( nee Karavia ); dear sister of John and Frank Zervos. She is survived by her devoted sons Artie Andreadis and his fiancée Haydee Luna, Ted and his wife Lisa Andreadis; loving sister of George and Jim and his wife Virginia Zervos; cherished aunt of many nieces and nephews. We begin to leave on Wednesday, January 30, 2019 at 9:15 am from the Gustav J. Novak Funeral Home, 419 Barclay Street, Perth Amboy for a Funeral Service at 10 am at the St. Demetrios Greek Orthodox Church. Interment will follow at Clover Leaf Memorial Park, Woodbridge. Visiting is on Tuesday from 4 ~ 8 pm with a Trisagion Service at 6 pm. In lieu of flowers, donations in the memory of Angie can be made to St. Demetrios Greek Orthodox Church, 41 ~ 47 Wisteria Street, Perth Amboy NJ 08861.